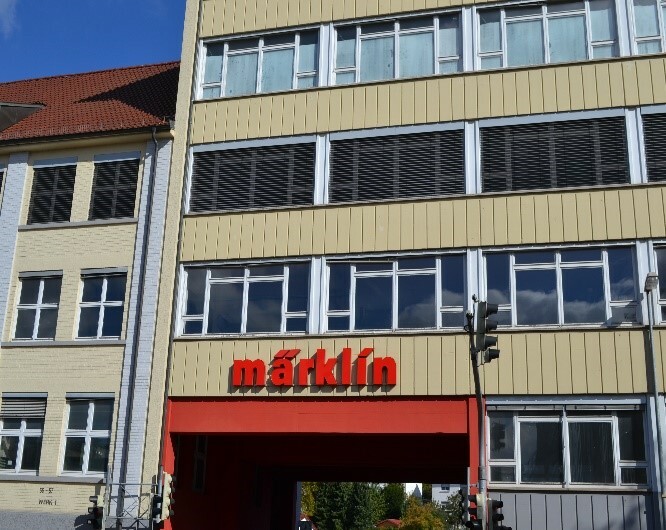 The toy and train manufacturer Marklin was founded in Goppingen, Germany in 1859 as a family run enterprise. Despite many setbacks from financial and family issues, they prospered and built sheet metal toys for the European market. 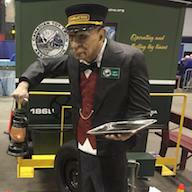 By early 1900, Marklin’s toys were held in very high regard for their quality, workmanship and reliability in Great Britain and the United States of America. 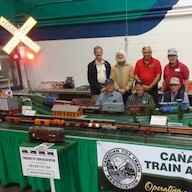 In 1900 Marklin built their first windup railway complete with track and switches. 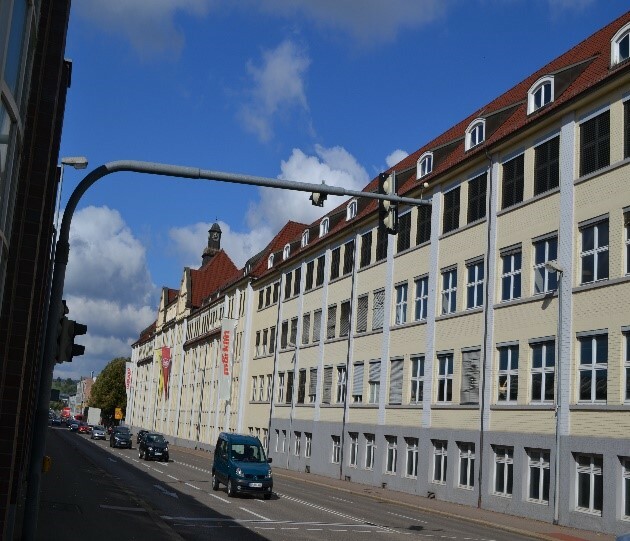 The year 1898 also saw a brand new purpose built factory building in Goppingen on Stuttgarter Strasse. By 1911, this building was too small and with ever increasing employees and products, the family made the bold decision to build a larger facility with 6 floors at this property. On a recent train vacation to Germany and Switzerland, it was to this factory that my Stuttgart friends, Helmut and Eve Rohleder, arranged a special factory tour for myself and my wife. In late September each year Marklin has an “Open House Weekend” for public tours, however, our travelling schedule missed this opportunity. Helmut was persistent with his requests to arrange a tour for his Canadian friends. Our Marklin guide was Mr. Heinz Osswald, a 53 year Marklin employee who volunteers in his spare retirement time to lead arranged factory tours. When we arrived, introductions were made and a concise personnel safety briefing – no smoking, no photographs and fire escape routes – was given. The factory employs 500 + hi tech workers for train manufacturing, working an 8 hour shift. Our tour started in the casting section viewing the over 700 die cast injection moldings required for the HO, O, N, and 1 Gauge trains produced here. Also the different flat metals, rounds and sheets used for the produced parts are stored nearby. 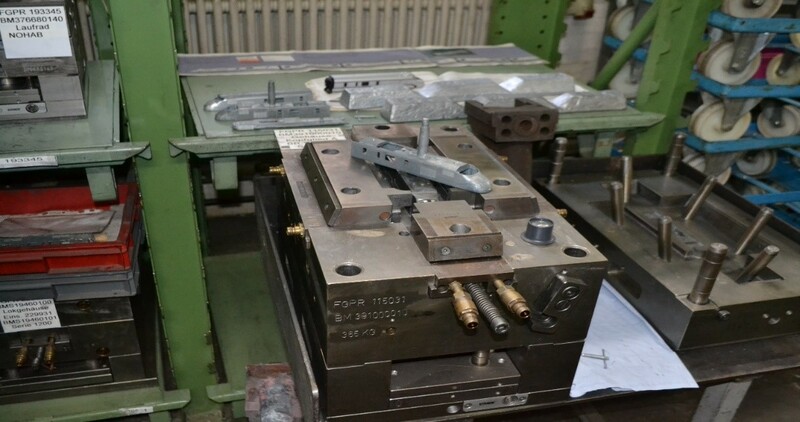 All of Marklins’ molds are made in-house and the position of mold maker is one of the senior positions in the factory. 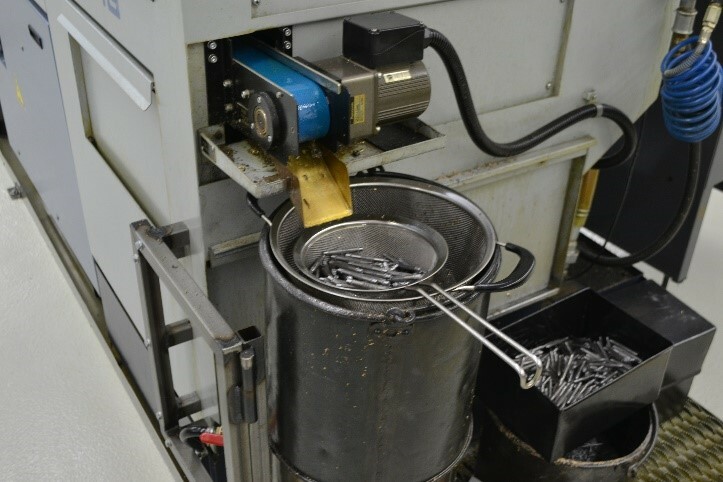 An average of 600 to 800 parts are produced per 8 hour shift on each of the 6 machines. At the Goppingen factory mostly fully metallic trains and components are produced while the majority of plastic parts are made at the Gyor factory in Hungary. After the casting, the parts are processed for drilling, taping and chemical cleaning before painting. Water based paints are used for environmental purposes with each piece receiving 2 coats of fixed colour spray. Automatic painting for larger pieces is performed in a slight vacuum induced booth while manual paint spray done on small and intricate parts. Quality control is apparent at each production station. 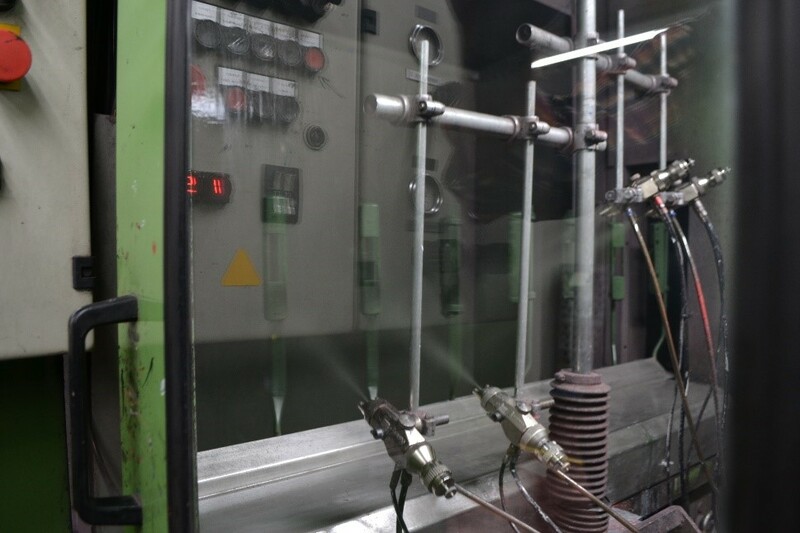 Axle turning, gear making and machining of wheels or the European style of car bumper are made on the third floor with all parts individually laid out on large stackable trays on trolleys. These trolleys with the individual parts are brought to the assembly stations on the fourth floor. Women mostly are still employed for this detailed assembly work. Modern diesel of the ICE design contain 300 + individual parts, all produced in this one factory. The wood plank flooring is still original from the 1911 construction. The entire factory is essentially spotless, you would not find any metal scraps or debris on the floor at any level or work area. Heinz stated that this condition was not always this way but it took a concerted 3 year effort to arrive at this state. Besides the obvious reason of personal safety, also fire (insurance), painting as well as modern electronics appreciate a clean workplace environment. 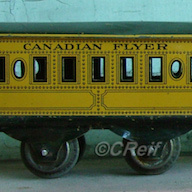 We watched one assembly process and once this locomotive was assembled, there followed over 50 different quality control tests that range from manual track operation to computer checks on power draw, traction, heat generated, wheel alignment and binding, smoke and sounds and many other tests before final packaging. The Marklin factory even make their own sound chips from actual recordings where possible. 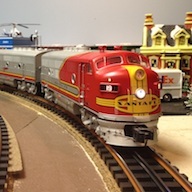 To ensure quality operation, random sets are pulled from their completed retail train sets for further supervisory quality testing to ensure that their set of control checks had no slip-throughs. 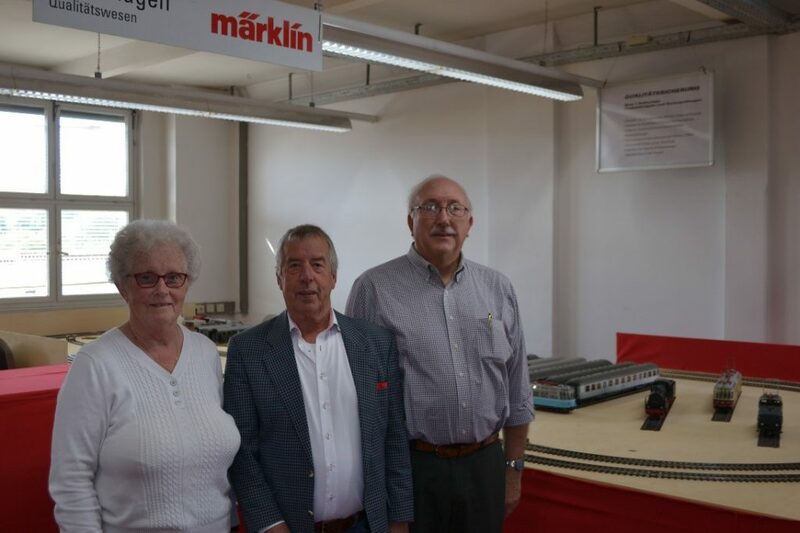 We thoroughly enjoyed our factory tour with Heinz and can now appreciate the extent of skill and craftsmanship that go into the Marklin trains produced. Heinz did give us permission for limited photography which we appreciated. It was easy to reminisce to the 1930’s and imagine those fabulous Marklin trains and toys in 1 and 0 Gauge coming out of this factory.